Ants are notoriously hard workers, and this little one is ready to do the job of holding a potted plant in a fun, imaginative way! 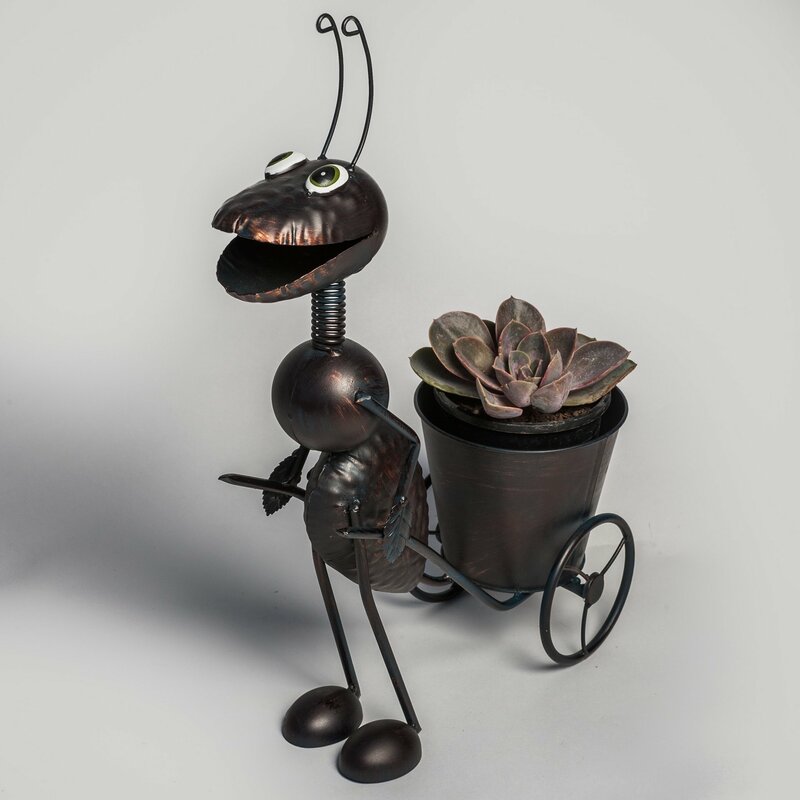 Made out of black powder coated metal, this ant planter is an insect pulling a cart that holds a mini flower pot that's perfect for herbs, potted colour or a single flower bulb. This happy little garden helper stands 45.5cm tall and is carting along a planter-wheelbarrow. The Large Ant Planter's head is on a spring, so his head will move when touched. Fill up his planter with pretty flowers and he will make an excellent ornament in your garden.